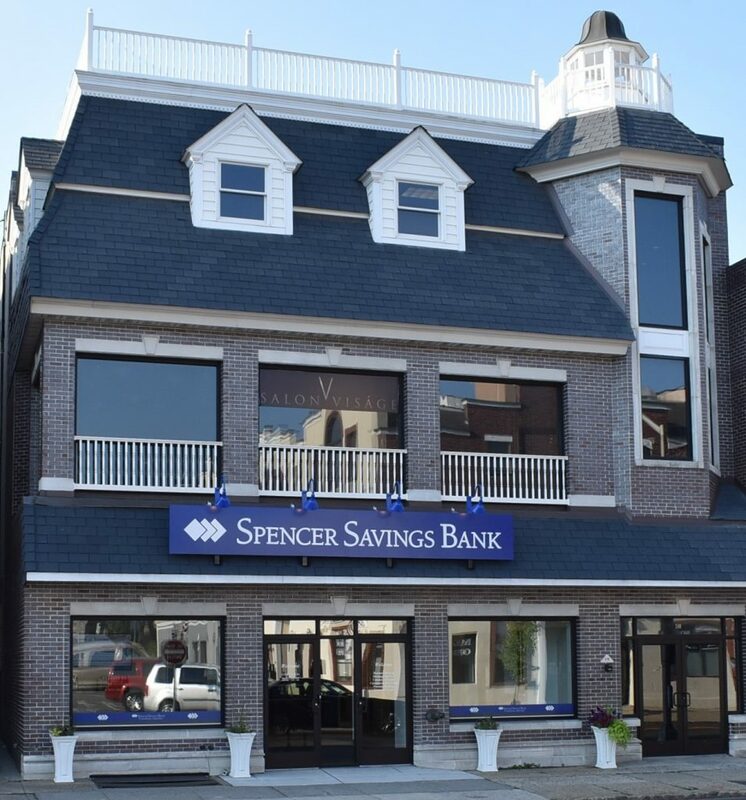 Spencer Savings Bank is excited to announce that it has officially opened its Financial Center in Downtown Westfield! The new center is located at 240 North Avenue West, directly across the train station, and features the latest technology to simplify the banking experience. Join us in celebrating our new location and take advantage of some of our special offers! Spencer’s Grand Opening offers include specials on Certificates of Deposit (CDs) and E-Money Market accounts. Spencer will also reimburse customers for up to two hours of parking fees, during business hours. Visit our staff to learn more information about these and other special offers! Experience the future of banking technology with Interactive Teller Machines that simplify banking. Customers are now able to complete their more routine transactions by being virtually guided by an off-site banker. They can also enjoy new extended hours of operation, for added customer convenience (Interactive Kiosks available from 8 a.m. – 8 p.m.). There is also a 24-hour ATM machine available for easy access to funds. The new Spencer Westfield Financial Center is a unique combination of a Banking Center and Loan Origination Office. Aside from featuring the latest in banking technology, the center will still have on-site bank representatives present to assist with more complex transactions. It will also be staffed with commercial loan officers to help customers with their business and commercial loan needs. The larger national banks have underserved the small business community. Spencer will fill this gap with a significant and ongoing commitment to local business owners here. The bank is known for providing a unique and personalized approach to banking, servicing its customers with an exceptional level of care that can rarely be found at larger banks. Spencer has been a stronghold in Union County for decades. Marta Alexandre, a long-time Union County resident, is the new Westfield Financial Center Manager. She has a strong sense of what local residents and businesses need, partnering up with local organizations, for almost two decades, on work that improves the lives of residents and businesses in the community. Marta was recently appointed as new Board Member of the Greater Westfield Area Chamber of Commerce (GWACC), after serving for almost eight years. She is also a member of the Westfield Rotary Club, serving as Past-President and Chair. Spencer meets the full range of individual, business, commercial and municipal banking needs through its broad menu of products and services. In addition to this, the bank is also deeply committed to its philanthropic efforts and making a true difference in the community. Most recently, Spencer was recognized with the Silver Award from NJBankers in recognition of efforts and initiatives which improve the lives of the citizens and community that are served in New Jersey. We are proud to introduce you to the Spencer team and welcome you to visit us in Westfield!